I spend way too much money buying supermarket gluten free snickerdoodles. So when I was given a food blogger recipe challenge to remake C Mom Cook’s awesome Easy Rice-Flour Snickerdoodles cookies recipe, I had to go for it. Shelley baked her gluten free rice flour snickerdoodles cookies recipe for a new friend as a thank you. But little did she know that she now has made them as a thank you for me! No more wasted money since I can be thrifty and make them at home. The kids and I thought that her snickerdoodles cookies recipe was fantastic and just as good as the ones that I find at the store. I’m sure you’ll love them, too! So what’s a snickerdoodle anyway? I bet you don’t know the difference between a sugar cookie and a snickerdoodles cookie. Both cookies are made with flour, sugar, butter or oil, and sometimes eggs. However, sugar cookies are rolled in sugar. 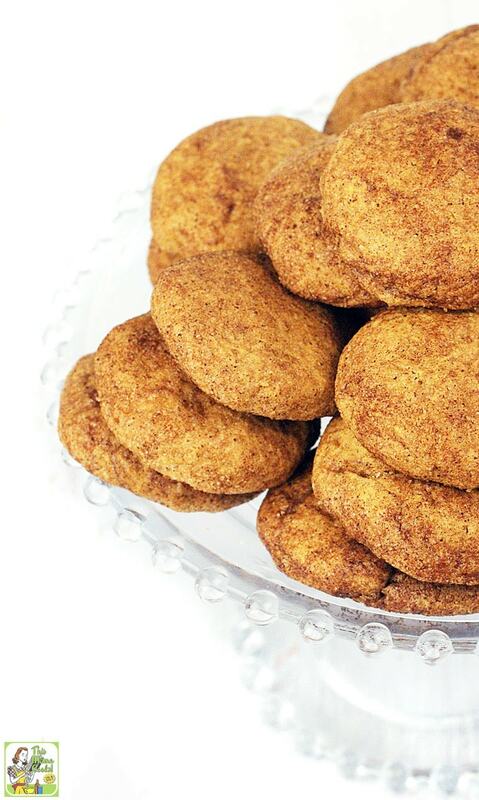 Snickerdoodles are rolled in a combination of sugar and cinnamon. Yep, that’s the difference – cinnamon! According to Wikipedia, The Joy of Cooking claims that snickerdoodles are probably German in origin. They speculate that the name is a corruption of the German word Schneckennudel, which is a type of pastry. There’s also a possibility that snickerdoodle is just a nonsense word originating from a New England tradition of wacky cookie names. 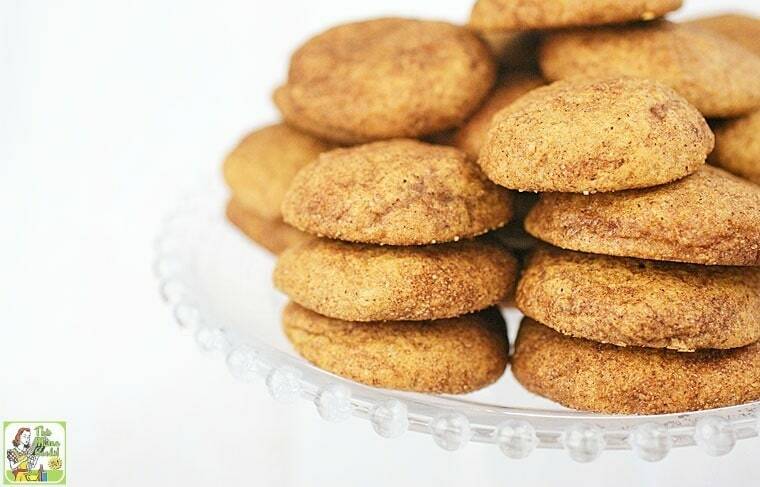 This gluten free snickerdoodles cookies recipe is super easy to bake up. You probably don’t need to buy any special ingredients, since most of us gluten free folks have white rice flour in the pantry. If you’re a baker, brown sugar is a staple, and most of us always have butter, sugar, cinnamon, baking soda and eggs on hand. Another note of caution! You must use white rice flour in this gluten free snickerdoodles cookies recipe. Shelley didn’t specify in her Easy Rice-Flour Snickerdoodles cookies recipe, so I experimented and did a two-thirds gluten free white rice flour and one-thirds brown rice flour. Unfortunately, the snickerdoodle cookies ended up too dry. So I baked up a second batch using 100% rice white flour. It’s the only way to go. Now that you know how to make gluten free snickerdoodles, keep these gluten free cookies in mind as a thank you for all your gluten free friends. They’ll make great gifts and are perfect for holiday cookie exchanges! Line baking sheets with parchment or a silicone baking sheet. Sprinkle a little cinnamon sugar evenly on baking sheets. Cream together the buttery spread and sugar. Beat in the egg. Stir in the white rice flour and baking soda. Stir until all ingredients are fully incorporated. Scoop dough and roll into balls approximately one-inch in size. If dough is too sticky to handle, add a little more rice flour by the spoonful. Roll each ball in cinnamon sugar. Flatten ball with the palm of your hand to form into a cookie, and place it on prepared baking sheet. Bake cookies for 12 minutes until golden. Remove baking sheets from oven. When sheets are cool enough to handle, carefully remove cookies and place on a cooling rack. Originally published on September 8, 2014. Updated with new pictures. Posted in Baking, Desserts, Gluten Free, Recipes and tagged cookies, dairy free on March 15, 2016 by Anne-Marie Nichols. Mines melted in the oven. I don’t know what I did wrong. Please help, I see good reviews of this and it looks good in the photo. It’s hard to tell what went wrong without more info. Did you make any ingredient substitutions? It won’t work with different ingredients. I added 1 tbls. gluten free vanilla Greek yogurt to add a little moistness and tang. Very good. I replaced butter spread with the same amount of coconut oil and added 1/2 teaspoon of creme of tartar – they were fantastic!!! Airy, perfect crumb. Thank you for the recipe! Great substitutions. Thanks for sharing with everyone! Snicker doodles ALWAYS need cream of tartar. It’s what gives them the tangy flavor that separates them from other cookies. It also serves as a leavening agent to aid in a lighter texture. Yes. That’s the difference between a lazy person’s sugar cookie and a proper snickerdoodle. It makes that texture that only snickerdoodles have too. But I am grateful for you taking the time to post this recipe. So I found my self using 3 times as much of my homemade rice flour and also using 3 teaspoons of baking POWDER and it worked out just fine if any body would like to try this recipe. The cookies rose and spread. Hope this helps! Snickerdoodles are one of my favorites–now I have a gluten free option when I need it. Thanks for sharing! Great recipe, and one I’ll have to try for my gluten free friends. One of my favorite cookies. I’ll have to share them with my sister as she’s currently GF in the process of being tested for Celiacs. I know your blog will be a great resource for her. Heather, my mother-in-law has celiacs and I’ve been cooking for her for 13+ years (and way before I developed a sensitivity to gluten). So thanks for recommending my blog to her. Have her check out Udi’s Gluten Free’s community site, too! Lots of great info and recipes there, too. We are a Snickerdoodle family and they never last long at our cottage. This is a great recipe and a very good choice for the SRC! Oh, yay! 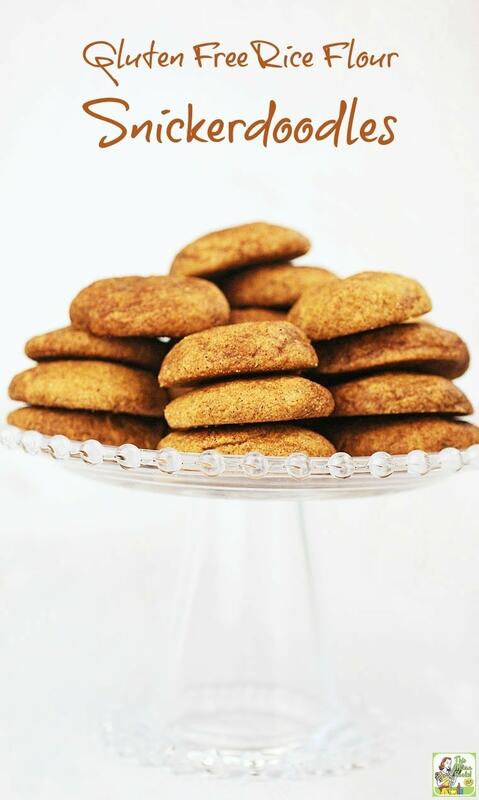 I am so glad that you liked these, and that they passed the test of true gluten-free-snickerdoodle fans! And very good to know about the white rice flour – I have very little gluten-free experience, but that happened to be what I had, so it’s good to know that it makes a difference. Thanks for the lovely post! Shelley, I was lucky to get 2 cookies. My kids made the rest vanish into thin air! Thanks for the terrific recipe.